Apart from during the 1948 Locomotive Exchanges, very few if any Royal Scot 4-6-0s penetrated the West Country until July this year. Then, No. 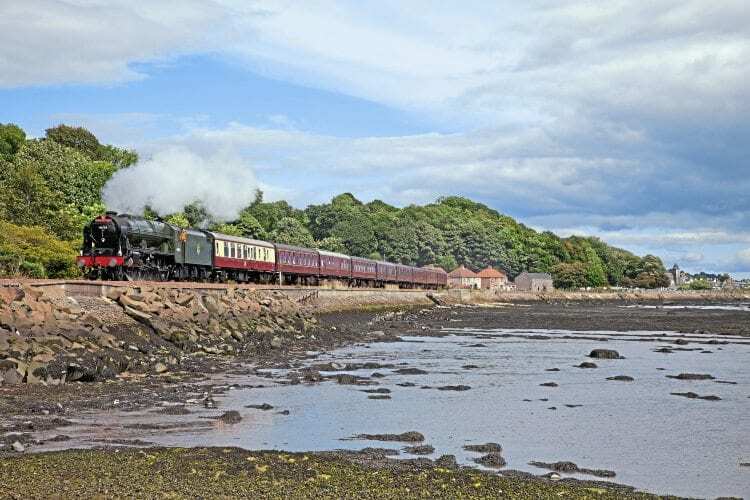 46100 Royal Scot was booked to work three ‘Torbay Express’ trips. As it happened, the 4-6-0s’ appearance west of Exeter and Newton Abbot was limited to two. The first, on July 3, resulted in the ‘Scot’ struggling to keep time because of poor coal – Welsh at that – supplied in error. As the original source admitted, the fuel supplied was not fit for purpose. To make up time on the return journey the ‘Express’ was routed over the former Great Western line via Tiverton, the Somerset levels, Taunton to Bristol; passengers for Bath, Trowbridge and Westbury reaching home courtesy of public services from Temple Meads.